Nota : Ne pas hésiter à nous contacter quant aux profils de soie et capacités en grains à adapter. Haute performance, légèreté et raffinement pour cette gamme bien étudiée. gain de poids couplé à une grande aisance d’utilisation. La série DNA Spey se décline dans différentes actions pour différents types de soies, de lancers et de pêcheurs. Basée sur l’action semi-rapide, traditionnelle à la marque, la DNA est douce et facile à utiliser. 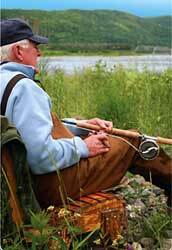 The DNA Spey series continues the evolution of T&T’s highly regarded stable of two-handed rods. 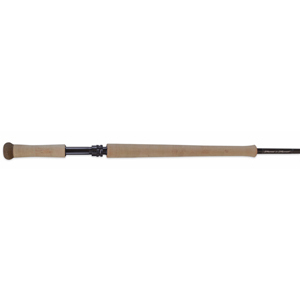 These are rods for anglers seeking two-handed rods that will do it all — Skagit, Scandi, Spey, and overhead — with ease. 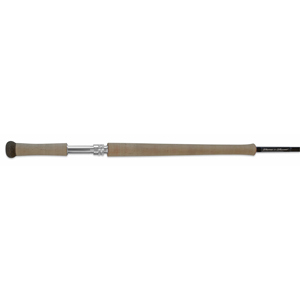 The DNA Classic is the perfect ‘all rounder’ and the best choice for experienced casters fishing mid belly length lines and longer. 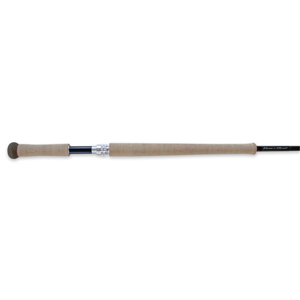 Models with an XF designation are designed primarily for fishing with Scandi style lines or shooting heads, and have a crisp, sharp feel perfect for throwing tight loops with touch-and-go casts. Our XD rods have a deeper flexing profile designed for anglers who utilize ‘sustained anchor’ casting techniques with Skagit heads and large, heavy flies. 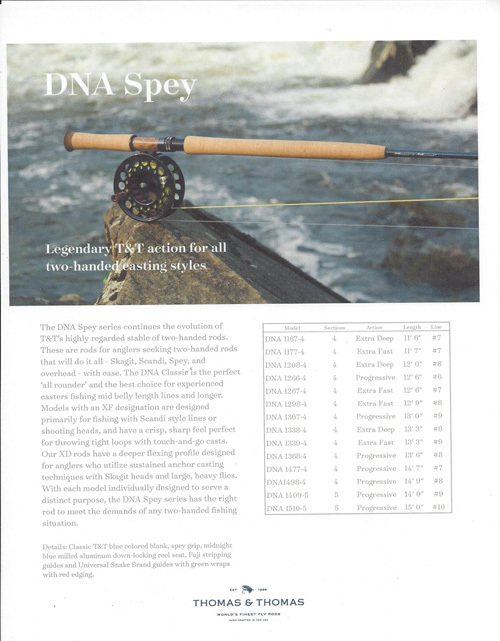 With each model individually designed to serve a distinct purpose, the DNA Spey series has the right rod to meet the demands of any two-handed fishing situation. THE DETAIL: Multi-modulus graphite blank with classic T&T blue low-friction finish, spey grip, pewter gray milled aluminum down-locking reel seat, Fuji stripping guides and Universal Snake Brand guides with green wraps with red edging.